In her latest video posted on the Bella Twins YouTube channel, Nikki Bella discussed her current relationship status with John Cena and where everything stands right now. Nikki said it’s very hard to watch Total Bellas and relive her journey every week, calling it a super emotional roller coaster ride. She felt like she needed to address the issue here because they film a few months in advance and this created some confusion on where she and John stand as far as their relationship goes. The former WWE Divas champion said that the two talk to each other everyday but they are just friends. She called Cena her best friend and one of the most truly amazing human beings she ever met in her life. Saying she has hope for the two of them, the two are taking it easy to make sure they are 100% sure of what they want to do, adding that she doesn’t want to be that person to get a divorce shortly after getting married. 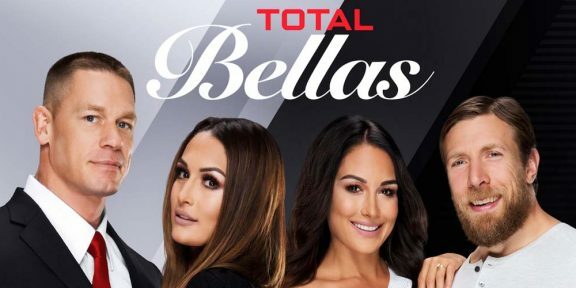 Nikki said in the rest of the Total Bellas episodes, we will see her bachelorette party and what her fairy tale wedding was supposed to look like but the season finale will be very, very hard to watch as viewers will see why the two are in this position today.